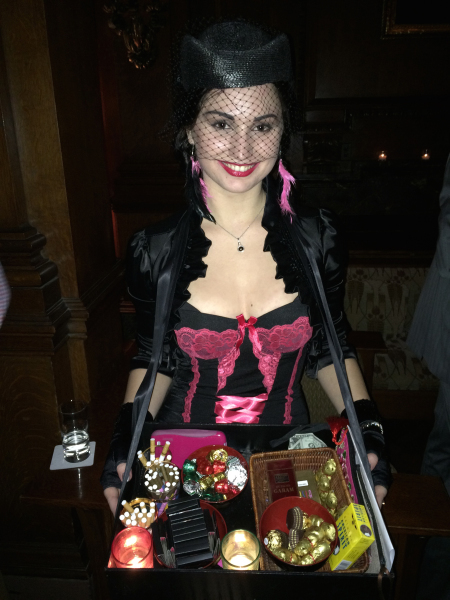 is a lady from whom you will be pleased to buy some cigarettes, even if you are not a smoker: this is how charming she is! 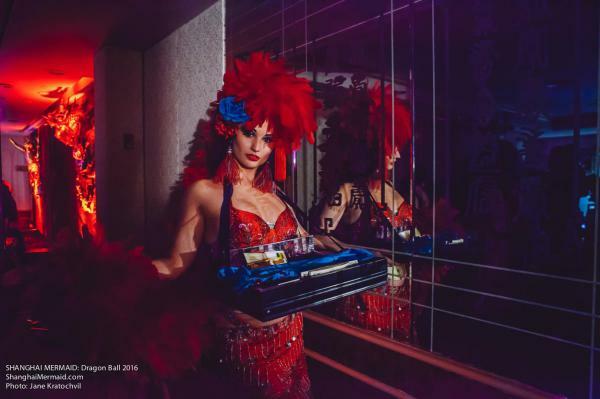 Karina Libido is honored to keep this beautiful old tradition and will be happy to serve as a cigarette girl at your event selling cigarettes, cigars, candy, raffle tickets or giving away promotional items. 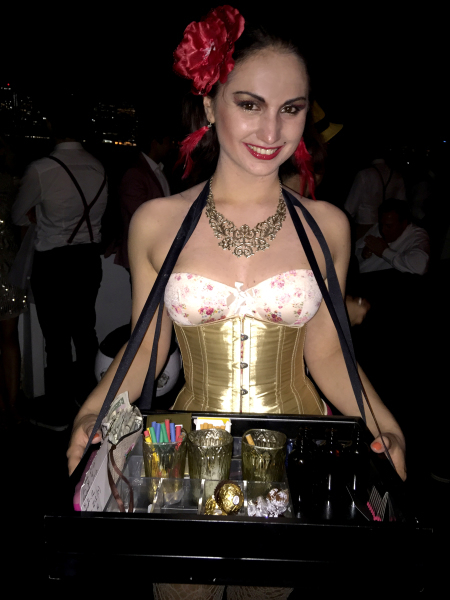 She is a beautiful addition to any kind of event. 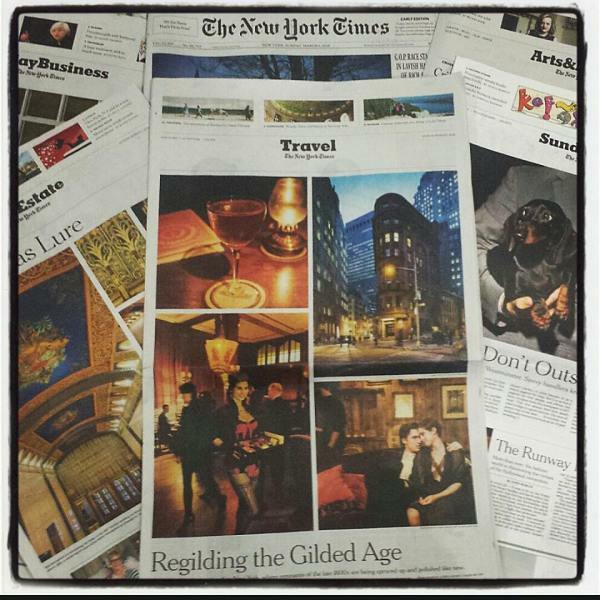 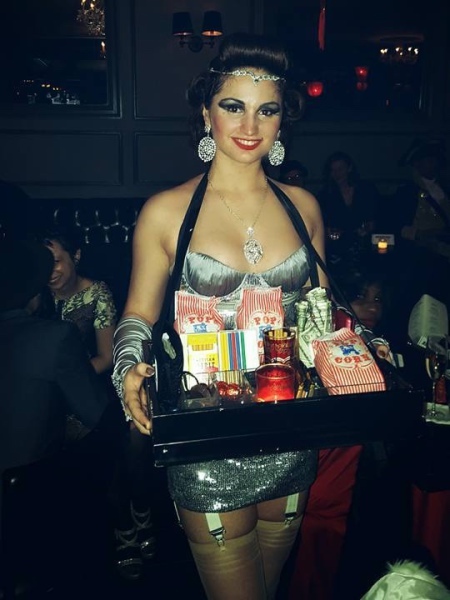 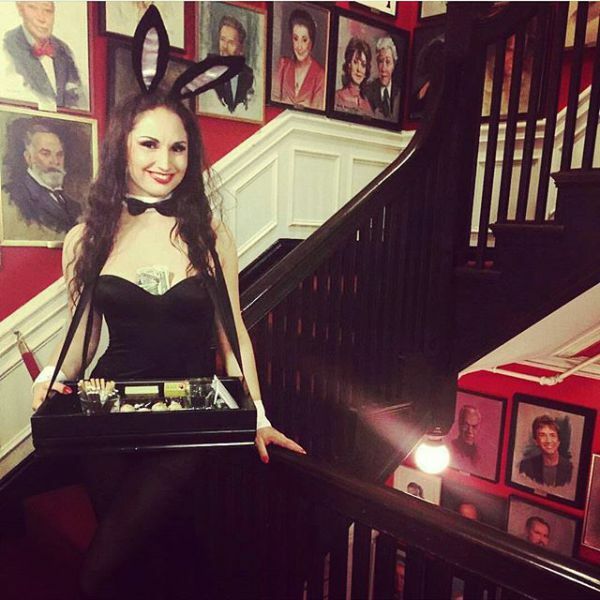 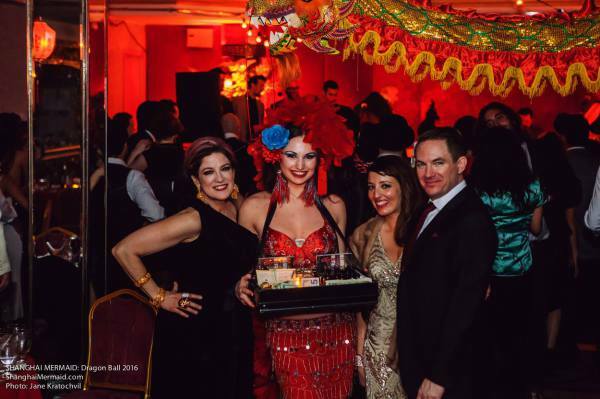 Karina Libido is a regular Cigarette Girl at Shanghai Mermaid elegant soirées and her photograph was featured on the cover of the New York Times Sunday travel section in 2015. 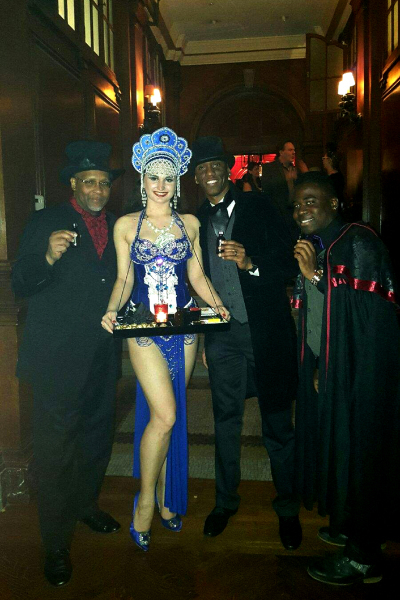 Contact Karina to make your event very special by having an experienced Cigarette Girl in it.